After updating to the latest iOS, some readers report annoying problems texting in landscape mode. 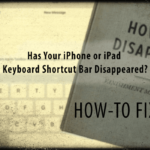 Symptoms include missing shortcuts and actions, hanging on the first line of text, automatically capitalizing each word, placing each word on a new line, seeing only half keyboard, even a blinking suggestion bar at the top of your iPhone’s keyboard, and other bizarre behaviors! For those experiencing this iPhone landscape keyboard text problem, it’s beyond frustrating! 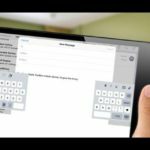 1 Can’t Find Keyboard Shortcuts for Quick Actions like Undo? 2.1 So what is the Proximity Sensor Anyway? 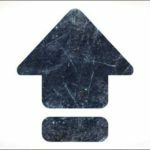 Can’t Find Keyboard Shortcuts for Quick Actions like Undo? For some reason, Apple changed the keyboard layout in iOS 11. So now the arrow keys, undo, hide keyboard, and even the comma buttons that many of us enjoyed and used daily are gone. Apple completely removed these options from the landscape keyboard starting in iOS 11. 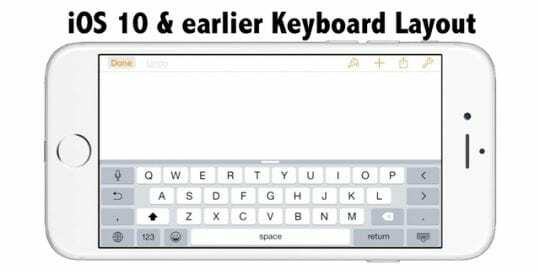 Compare this new keyboard layout to one from iOS 10–you see the difference! And for many people, this change is most unwelcome. Instead, in iOS 11 we get the One-Handed and QuickType keyboards. To learn more about these changes, see this article. These types of issues are often caused when your hand (or something else) covers the iPhone’s proximity sensor. 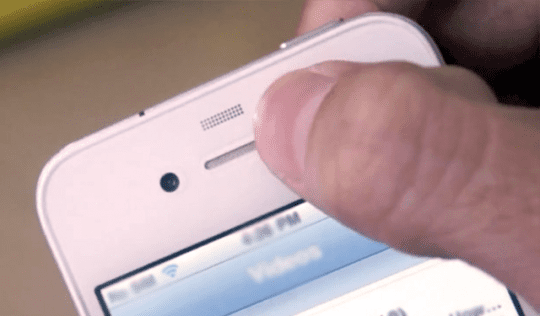 This sensor is located at the top of your iPhone, near the front-facing camera and the ambient light sensor. So what is the Proximity Sensor Anyway? The proximity sensor detects any object close to the screen, including your hands, ears, or just about anything! 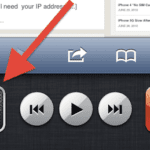 Its main function is to put your iPhone’s display to sleep when placing calls or when your iPhone is at the ear. Check Apple’s support site to find out the exact technical specs of your iPhone model. Then check and see if this iPhone landscape keyboard text problem occurs when you cover the proximity sensor. If so, adjust your hand’s position so the sensor is not blocked. Another common reason for this iPhone landscape keyboard text problem is orientation lock. 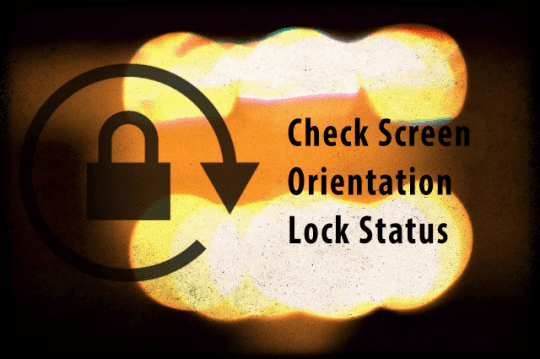 Check and see if your iPhone’s portrait orientation lock is in the top screen status bar. If so, turn it off by swiping up from screen bottom to open the Control Center, then tap to unlock. to learn more about control center, check out this article. 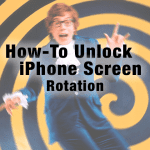 Depending on your iPhone model and your iOS version, your iPhone or iPad may include a side switch that users set for either mute or orientation lock. For more information on the side switch, check out our article. So if the issue is not related to either the proximity sensor or to your screen orientation lock then let’s start with the simplest fixes first. Go to Settings > General > Reset > Reset All Settings and test again. 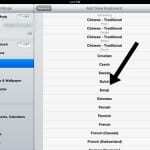 Many users find that changing some of the accessibility settings fixes this iPhone landscape keyboard text problem. It looks like adjustments made to accessibility often leads to unexpected iPhone behaviors. Some iFolks have tried the following with success. So try these suggestions, one at a time and see if one of these does the trick! If you are yet to solve this bug, try a restore from an earlier backup--hopefully you have indeed backed up via iCloud, iTunes, or another third-party method. In the case that you don’t have a backup, perform it now AND then restore your iPhone as NEW. First, backup your iDevice to ensure all your media and data are secured and then restore it through iTunes or iCloud. If you need to restore with an older backup, take a look at our article on locating your iTunes backups folder. 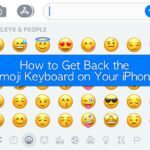 This stupid move alone (destroying their near perfect landscape keyboard) as well as a few other issues made me abandon apple and go Android. The keyboard change was the tipping point for me. I have just about every iPhone since the very first one in 2007. I now use a Galaxy S8+. I don’t want to single handed type in landscape mode, I thought that is what portrait mode is for. It is obvious the mass users and new apple programmers don’t know how to type at all aside from hunt and peck like a toddler would do. 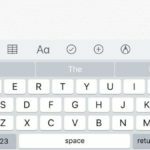 Apple is really terrible now, they won’t even allow a keyboard that has the edit keys. I suspect there is a hack (that Apple couldn’t fix) that these keys are used for. So instead of fixing the problem, they just said – no editing for all its customers, too bad. Well, now my company is going to Android company-wide – how do you like those apples!